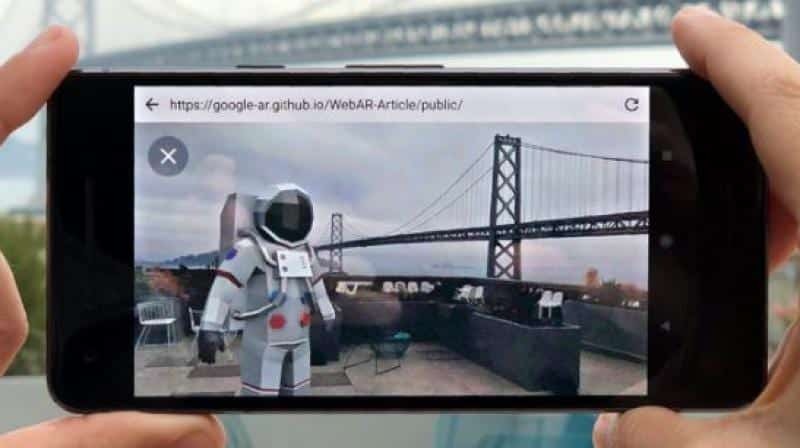 Google recently unveiled its experimental efforts to integrate Augmented Reality (AR) features into the mobile and desktop web using its Chrome browser. The browser-based prototype version of AR called ‘Article’ is a 3D model viewer, which not only runs on Chrome, but also works with all other web browsers. In order to convey that the model is 3D and interactive and not just a static image, the model rotates to some extent in response to the user scrolling. The new prototype allows developers to create 3D models that can be downloaded on mobile devices. Using the device’s cameras and built-in sensors, users will then be able to place those 3D models in real-life environments. If Article is loaded into a desktop browser with a 3D model, it triggers AR content that would allow the user to view a specific element from all angles. For instance, users will be able to view a 3D model and manipulate it by dragging to rotate and scrolling to zoom in or out. When placed on a web page, the model could be animated in a way similar to a GIF. On the other hand, on mobile devices, users will be able to touch and drag to rotate, or drag with two fingers to zoom in. Basically, Google through Article wants web developers and content managers to start experimenting by bringing AR elements to web browsers. Developers who are interested in trying it out now for themselves, can do so by visiting this website.